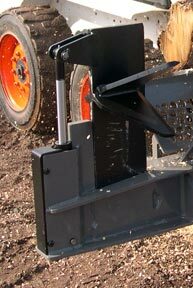 Firewood Cut Lengths: Adjustable 6" to 23"
The SSP-150 Skid Steer Firewood Processor is a great machine for a farm/ranch, work shop, or commercial firewood producers. 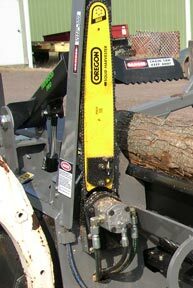 This machine comes standard with a hydraulically adjustable 4-way splitting wedge, automated length measuring & a 2 speed splitting cylinder. 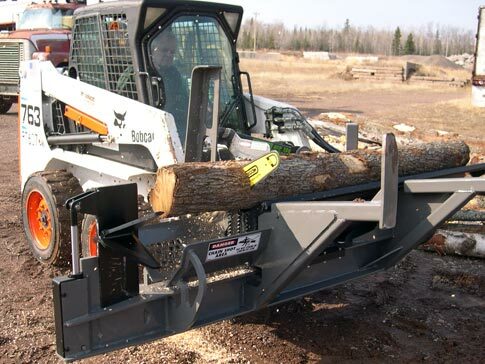 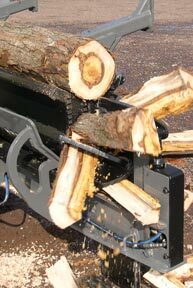 This heavy built processor is built to withstand the rigors of commercial firewood production.